Looking at basic nutrition is essential as the cooler months approach and we become more exposed to germs and illness. 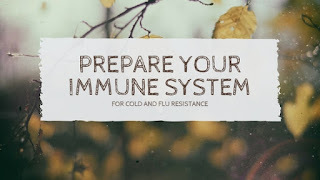 Vitamins A and C are integral to supporting our immunity. There is now a greater understanding of the association between food and the gut for increased immunity and overall health. Gut flora are incredibly important for keeping you healthy through the winter, helping to keep the immune response correctly regulated. For optimal detoxification, nourishment and immunity, your gut must be functioning well. Probiotics and fermented foods are a good starting point if your gut health is below par. Zinc helps fight off infections and heal wounds. Women on the contraceptive pill can find themselves more zinc-depleted, which can leave them more vulnerable. Supplements and/or dietary changes can increase zinc levels and strengthen immunity. The immune system is the body’s form of defence. It is comprised of organs, tissues, cells and cell products that all work together to fight harmful substances like the pathogens that cause infection and disease. There are two main ways that stress has a direct, negative effect on the immune system. It creates chronic inflammatory conditions, and it lowers the immunity of those who otherwise might have a healthy immune system. Simple stress management strategies such as regular massages, yoga and gentle exercise can be very beneficial at this time. If you’re feeling run down or more susceptible to illness, please do come in and see me for a personalised consultation. You can book online HERE.